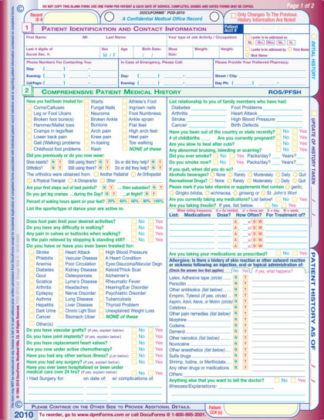 Patient Financial/Insurance Registration Form gets your relationship with a new patient started in a business-like manner. This form contains a strong payment agreement that gives you the tools you need to collect payment. State medical regulating boards and many managed care organizations insist that you have just such an agreement in place. The essential information you must collect, and agreements you must have in place, before accepting new patients into your practice. As you know, you need to have a carefully constructed financial agreement with your patients. DocuForms provides just what you need with the POD-1010 Financial / Insurance form. We’ve developed and refined this financial agreement for over a decade. It covers just about every payment situation you will encounter in your practice. It makes sure that the patients agree to pay their deductibles, co-payments and non-covered services at the time of treatment. This form contains a strong payment agreement that gives you the tools you need to collect payment. State medical regulating boards and many managed care organizations insist that you have just such an agreement in place. We and our customers have seen all the ploys that insurers and patients use to try to avoid paying doctors – this form protects you from every ruse and excuse we’ve encountered. 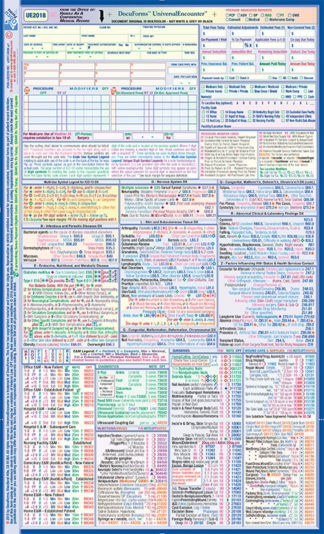 Our customers across the country rely on this form thousands of times every day. NOTE: With the Financial / Insurance agreement in place you won’t have to split the balance due with a collection agency – the aggreement obligates the patient to pay all collections fees. 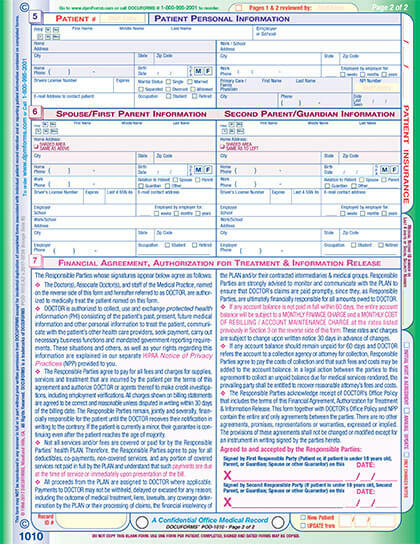 Order the DocuForms Financial / Insurance form in the blue and orange box in the right-hand column on this page, or call us at 1-800-995-2001. The form will be personalized with your practice information and your payment terms. If you prefer, the forms can be bound into pads of 50 at no extra cost. When payment problems arise, you’ll be glad you have the DocuForms Financial / Insurance agreement in place. 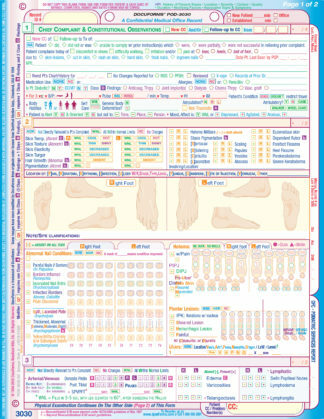 Header: The header is customized with your practice information. 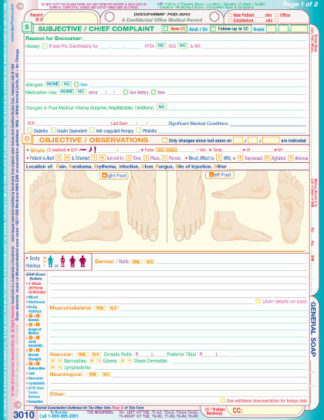 Section 1: Collects patient identification, contact and insurance information. Assignment of Benefit for private insurance, HMO and Government/Medicare health plans. 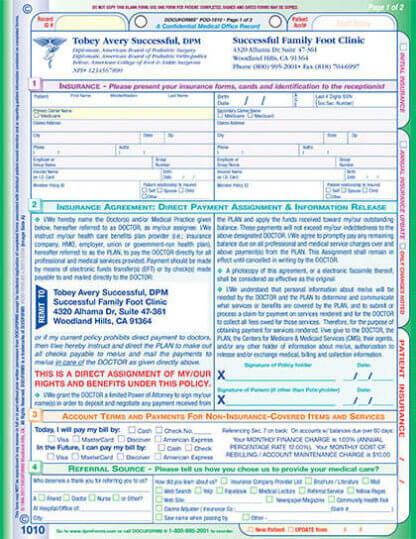 Notification for the insurance company of the proper address for your practice, and requires all payments to be sent directly to the practice and never to the patient. A notice that information will be exchanged between the practice and the payer. Section 4: Obtains information about the referrral source. Section 5: Obtains the patient’s personal information. Section 6: Obtains information about the spouse and / or parent or guardian of the patient. Section 7: Contains the financial agreement, authorization for treatment & information release. Many new doctors feel uncomfortable with the idea that the medical practice is a business, and has to be run like one. However, successful doctors can tell you that if you don’t run your practice like a business you’ll have to spend far too much time struggling to make ends meet. When you run your practice with proper business procedures in place, you’ll be able to devote far more of your time to patient care. 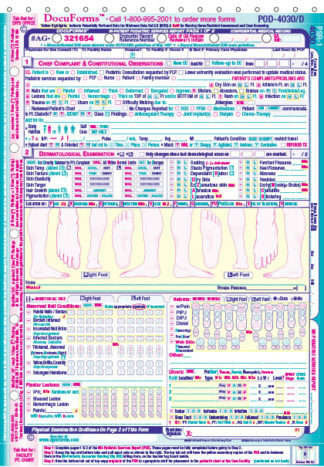 With the agreement on DocuForms’ Financial / Insurance form in place between the practice and the patient, your patients won’t have to guess about the nature of their obligations to you. This understanding establishes the proper, businesslike relationship between you and your patients.